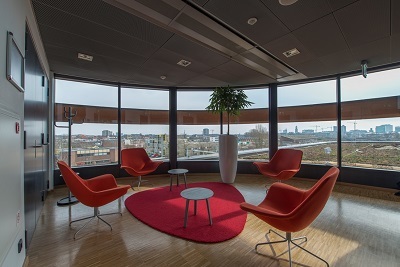 Van Lanschot Bankiers’ head office in Amsterdam has recently been re-decorated. 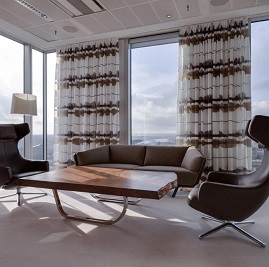 Architectural firm Caspar Dekkers Interiors has done the furnishing for this. 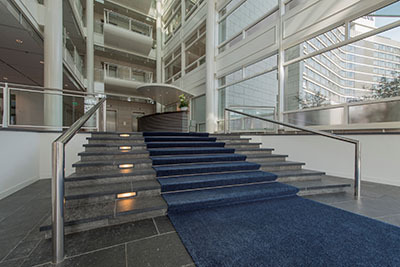 Already at the main entrance the striking staircase impresses with the beautiful MID Custom Art Silk Suave Melée 37 15M. Furthermore, the various reception rooms are attractively furnished with a diversity of MID rugs. 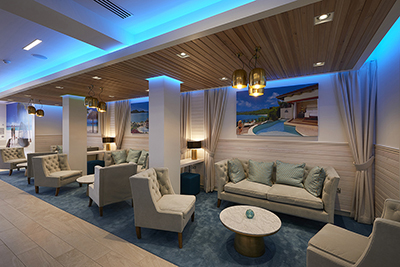 Sandals, London based serviceprovider of luxury vacations and resorts, has been decorated with various M.I.D. carpets from the Custom Art Silk collection. Using the carpets as an integral part of the interior, designers office Wanda Creative gave the interior an exclusive look and feel. The Saga Structure is already a very special quality in the M.I.D. collection. 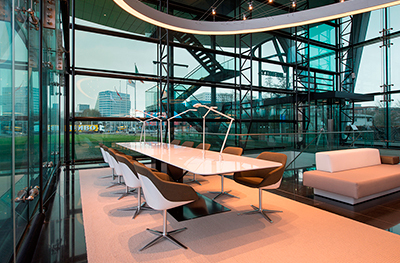 Now MVSA Architects used it to decorate the extraordinary building Infinity in Amsterdam. At the entrance they provided this eye-catching building (formerly known as ‘the Shoe’) with a an evenso eye-catching trillion diamond shaped M.I.D. carpet. 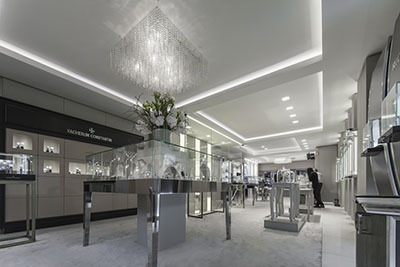 The modern looks continue all the way to the end of the ground floor, using beautiful Saga Structure M.I.D. Carpets. M.I.D. carpets at the new Prorail NVLU Train Traffic Control Center in Utrecht is again a great example of this. Made of pure New Zealand wool and woven on the Wilton looms in Genemuiden the red carpets immediately catch your eye. The high quality natural wool will maintain its classy look, even after many years.